Children feel a sense of power when they take the wheel to drive a remote control car or fly a remote control helicopter. RC toys are almost always a hit with children, but some promise more than they deliver. When buying a remote control toy, you want one that is well-made, functions properly and will entertain your child for hours. While bells and whistles are neat, sometimes even a simple, well-made remote control toy is all a child needs. When you think about remote control toys, you probably turn to cars and trucks first. There are hundreds of these on the market, including those resembling popular car models and those that run on special tracks instead of the floor. Some remote control vehicles are designed for older kids, while others are made to be sturdier as younger kids steer them into walls, furniture and down steps. Kid Galaxy Morphibians are good RC toys for younger children. Each car comes in an animal theme, such as a gator, shark, and killer whale. 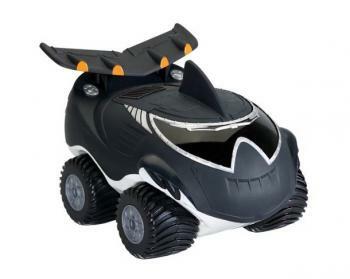 The toys can drive through grass, sidewalks, dirt and water easily. The controls are simple with two buttons that a child as young as five could operate independently. The cars are battery-operated. Fisher Price's GeoTrax Transportation System features a line of RC toys that operate on a special track system. The line includes a number of themes, such as Disney Pixar Cars and Toy Story 3, which have a variety of track packages and vehicles. Vehicles include cars, trucks and trains. The GeoTrax toys are an excellent first remote control toy for a child as young as two years old because they are easy to operate and sturdy. Winner of the Good Housekeeping Best All-Terrain Vehicle of 2010, the Tonka Garage Ricochet RC Vehicle is a large, sleek, racing double-sided truck that features monster lift suspension. Kids can drive the vehicle on either side and it is easy to change the sides. The 27 MHz remote controller is suitable for kids ages eight and up. RC toys that fly always thrill kids. Most flying remote control toys are in the form of helicopters but some also have unique shapes. If you buy a toy that flies be prepared to buy replacement parts as well. No matter how highly rated they are, many will not withstand repeated accidental collisions with walls, trees and other objects in the air. This Halo RC Helicopter is well-made, flies well and is attractive. The helicopter has a child friendly controller for children ages eight and up. It can fly really high and is best used outdoors. The toy won Parent's Choice Award in 2010. A unique remote control vehicle, the Air Hogs Hover Assault can be used on the ground or flown through the air. It also features four missiles to be used in a game of attack. While the Shape Sorter Remote Control Airplane stays on the ground, it is a good remote control option for young children. Not only can the airplane move forward and backward, but it also plays cute tunes as it moves and it doubles as a shape sorter. The two-button remote is easy for little hands to control. Air Swimmers are helium-filled remote control toys. Once filled, children can use the remote to help the swimmers climb, descend or turn in flight. The Air Swimmers come in the shape of a clown fish, bass, shark or Angry Birds characters. 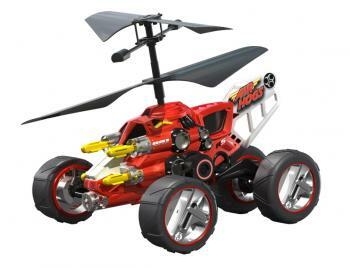 Syma Helicopters are a well-known brand in the remote control toy industry. The helicopters come in a variety of sizes, styles and at multiple price points. To help determine which of Syma's high-quality helicopters will meet your child's need, Syma offers a handy buying guide. The most popular model is the mini S107. Cars and planes are not the only remote control toys available for children. Many take the form of animals or robots, allowing children to control their arms, legs and other movements as they travel throughout your home. Toy Story fans will love the Toy Story 3 UCommand Buzz Lightyear. Children can have Buzz Lightyear walk all over the house and also use the remote control to help him fight off evil or say phrases from Toy Story 3. The toy receives a four out of five star review on Amazon with parents noting he works better on hardwood than carpet and, while cool, may not be worth the expensive price tag. 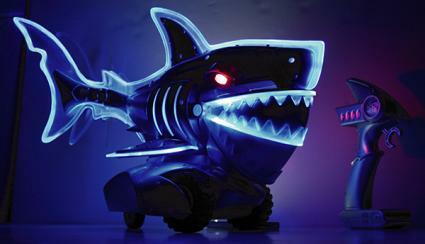 Named one of CNN Money's hottest toys in 2009 and also highly rated by Time to Play magazine, the Illumivor Mecha Shark is a unique remote-controlled toy. This shark features lights to help it glow in the dark. It also chomps like a shark and makes other sound effects. 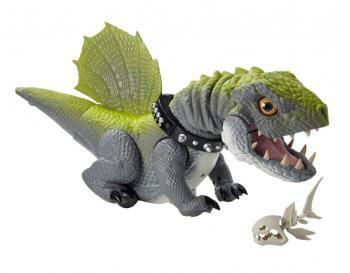 For junior dinosaur enthusiasts, the Prehistoric Pets Cruncher Interactive Dinosaur is an awesome remote control option. Children can make it dance, fetch and walk. It can also be trained to do other tricks and makes dinosaur sounds. Walmart customers have given the dinosaur a five-star rating for its ability to entertain kids and adults. A toy with remote control features will cost more than a non-electronic toy so it is important to select one that is well-made and offers features that seem worth the price tag. When possible, examine both new and previously owned toys before purchasing. Since many new toys are boxed, you may be able to get an idea of a toy's quality if there is a store sample model on the shelf. The materials appear sturdy and well-constructed. Joined parts are secure with no loosening nails or gaps from sections that are not glued together properly. There are no scratches, dents or other defects in the construction or appearance. All toy features operate correctly. The remote control function and other features seem sturdy enough for long-lasting play. A battery-operated toy does not run through batteries at an unreasonably fast rate. A child, in the toy's appropriate age range, can easily operate the toy. Reviews of the toy indicate that children enjoy playing with the toy. RC toy collectors recommend it. Even though many remote control toys are built to be strong, they are not designed for misuse. Make sure your child is ready for the responsibility of owning a remote control toy before making the investment. If your child regularly leaves toys outside or handles them roughly, you will want to keep that in mind when choosing an RC toy. Keep remote control toys inside to avoid them getting ruined by the rain. Make sure you have a large, open space for children to race their toys without damaging them by constantly running into furniture and walls.